If you are thinking about becoming a member of a gym or health club then reading the contract thoroughly is advisable. Gym contract have had a bad press in the past but most fitness clubs are now shaping up with regards to their contracts and contract terms and conditions. 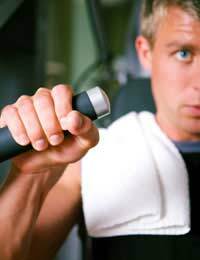 Most private gyms will make new members sign a contract and pay a fee to use their facilities. Within the contract will be a number of terms and conditions that gym members must abide by as part of their membership agreement. In the past, health clubs have had membership contracts that were biased in favour of the health club. For instance they would often charge a years’ payment and then not supply a refund if the member quit at some point before the year was up. This type of bias gym contract has been investigated by the Office of Fair trading. Health clubs were told to shape up and get their contracts amended so that there was no bias in favour of the gym. Details of price and length of membership. Details on notice needed to cancel membership. Refund policies if a member cancels their membership. Insurance details covering death and theft of membership possessions while using the gym facilities. Consequences for non payment of membership fees. Terms of any financial agreements between the member and the gym. Commitment terms of actually signing the gym contract. Personal details and bank accounts details, if required. Gym contracts are similar to any other form of contract and do constitute a legally binding document that both parties must agree to. However, private gyms will sometimes try to slip certain terms and conditions into the contract that the member is unsure of. It’s true to say that not everyone reads the contracts that they sign. It is vital that members thoroughly read the contract in order to be aware of the applied terms and conditions. If any of the clauses are unclear, ambiguous or strangely worded then the potential member should receive clarification before signing. If a contract has been written in an unclear manner it may not be enforced in a court of law. One major clause to look out for is the notice required to cancel the gym membership. Make sure you understand and agree to the amount of notice needed to cancel your gym membership. A normal gym membership cancellation period would be around a month. Longer than that may seem unfair and you should be sure that you can commit to the membership period otherwise you may end up paying and not using the gym. You may have been committed to getting your body in shape just after the festive period but many people join a gym and then give up after a few months. Gym contracts will usually have terms on how long you are committed to the membership. Some gyms will make you pay in advance and will not give a refund if you decide to cancel your membership. Make sure you can commit to the length of membership time in the contract. Paying in advance and not using the facilities will leave you out of pocket. Be very wary of gym contracts that state automatic renewal. This means that when your membership expires your contract will be renewed and charged whether you wanted to renew or not. When you sign the gym contract you are agreeing to abide by their terms and conditions and by signing you will have said yes to automatic renewal. If you don’t agree with this term then don’t sign the contract or make sure you can stop the renewal in advance. Gym contracts are similar to other contracts in so much as both parties must abide by the terms and conditions. If either party breaks any of the rules and conditions then they can be in breach of contract and legal action can be taken. Make sure that gym contracts are thoroughly read and understood before signing, and if unsure don’t sign. Joined a leisure centre in the town I used to work because it was the same chain as another leisure centre in my town and the terms and conditions allowed me to use both leisure centres but by joining the leisure centre near where I worked I would not have to pay for parking there when I used that one and parking is free any way at my local leisure centre.I stopped using the leisure centre near where I used to work when I moved jobs but used to use the leisure centre in my town but due to long commutes to and from my new job I have not used my local leisure centre for more much longer than a year, today I went to my local leisure centre to use the gym there but my membership card would not give me access so the staff there looked into why I was no longer on there database of members and it turns out the leisure centre I joined close to where I used to work is no longer part of the same chain as the leisure chain I originally joined and what my local leisure centre is still part of, I have never used any of the leisure centres of the chain the one near my old work place is now part of but the new chain has been taking monthly payments since they transitioned to a different chain of leisure centres to the one I originally joined which means I'm no longer a member of my local leisure centre and I have been paying for leisure centre and gym membership for all this time when I can no longer use any of the leisure centres of the chain I originally joined, should I be entitled to some kind of refund and if so what should I do next ? I joined Fitness first on behalf of my grandson. He never went so I cancelled my membership with them and at the bank.They sent him a fifteen year old, a threatening text from a debt recovery agent and are now pursuing me for three months membership.The debt recovery text was addressed to my wife who is a fully paid up member.Do I have to pay ? You would have to read the terms and conditions of the membership. It doesn't matter if your grandson went to the gym or not, if you signed and agreed to a set membership period, you are required to pay. I joined Fitness first on behalf of my grandson. He never went so I cancelled my membership with them and at the bank. They sent him a fifteen year old, a threatening text from a debt recovery agent and are now pursuing me for three months membership. The debt recovery text was addressed to my wife who is a fully paid up member. Do I have to pay ? @Insideouthead - just cancel the direct debit and write asking to prove they sent a letter and ask for a refund. There is no way they can expect you to continue your membership after that amount of time and no way they should without contacting you first, plus that is 'bribery'. If they don't refund you the money threaten them with the small claims court. I have recently signed up for a gym membership and am not sure wether I can cancel it? I was assured by the gym that my membership will not start until i do an induction. I am still waiting for funds to do the induction as my car is now in repairs leaving me with an unexpected large bill to pay. So can I cancel a signed contract before my membership has actually started and no payment has been made? @Ji - I think in this instance you should speak to someone directly,as it seems to have become rather complicated. You can contact your local Citizens Advice Bureau for some free advice, link here. I hope this helps. Hi,I previously wrote seeking advise regarding gym memberships in December 2014.I paid a further two months subscriptions of £75 for December and January (£150.00) for services that I did not receive -I recently wrote to them advising that I wouldn't be returning to the classes as he had changed the format and that I had cancelled my subscription.I received a response from the owner which I have detailed below:- "Sorry to hear you've put the blinkers on and you've decided to leave without embracing the idea that having teams shouldn't be demotivating as you are still working for yourself but just have the support of others. The two remaining payments shouldn't have been cancelled by you as you agreed to a 6 month period as a fanatic's member so you still actually owe £150. (No contract was signed). This can be paid by bank transfer if you wish?Can you confirm that's the route you'd like to go down". Do I still need to the £150.00? I might add that his PA forwarded my email to him and her comments regarding me were quite derogatory - he failed to remove them before replying to me. @sherry - you would have to check the gym membership age policy, it should be in the terms and conditions. Thanks Alistair for your comments. Is the contract binding in view that I was 17 years old. @sherry - if the contract specifies is is automatic renewal, then it will automatically renew yearly . If it says you have to give a months notice in order to terminate your contract then that is what you have to do. Unfortunately, if you have left the contract to roll on and not cancelled it then that is your responsibility and you have no claim. I signed a gym contract whenI was 17 years old. Is the contract valid? There is an auto renewalof subscription in the contract. Is that valid too? If it is not valid, can I get a refund of the auto renewal subscription. The contract did say that a month notice must be given to terminate the renewal subscription. @Ji- I think you should ask for a copy of the terms and conditions, as you will need to know anyway unless they decide to claim against you if you don't pay. At the same time if you haven't had any, or more importantly signed anything, you stand a better chance of not having to adhere a contract(dependent upon what information was given in the texts etc). Have a look on the gym website, there may be something on it which might help. Also we have another page regarding verbal agreements which should help you link here. @Ji - you will need to read its terms and conditions. Usually if you have signed up for a period of time and you pull out, I'm afraid you are liable for the costs. @Ji - you will need to read its terms and conditions. However, usually if you have signed up for a period of time and you pull out you are liable for the costs. I had a 6 months verbal agreement with a kind of "Boot Camp", and agreed to pay £75 each month to attend approximately 12 classes per month.I duly attended the first month which I paid for, then I arranged with them that I wouldn't be attending the next month as I was going on holiday for three weeks out of the four and they agreed that they would skip the payment for that month.On return from my holidays I found that I was unable to attend the classes due to family committments but I duly paid the £75 for the next month.I knew that my next payment was due to come off so I sent an email to them explaining that due to family committments I was unable to continue attending any further classes and could they advise me of the process to cancel my membership. I was advised that the payment for this month had already been requested from my account and that they would check as I still had 3 months of my contract left to run. They have been advised that they are looking for a further 3 months money.Seeing as I have already paid for two months (that I haven't used their services), is there any way I can get out of paying for the further three months?? For over a year I have attended the gym very little. Not because I am too busy, not because I can't be bothered. But because te classes are fully booked. I have paid to sit on a waiting list. On average I have paid £20 per class. Most standard gym contracts will mention some form of rules in their contract even if they don't specify what these rules are so make sure you look over your contract with a fine tooth comb!! If you are sure that there is absolutely no mention of rules and regulations in your contract then legally you are not bound by it as you did not enter into any such agreement with the gym regarding these specific rules. Hi, I just had a question. I live in New Zealand and I recently joined a gym, I paid for six months as there was a good deal for it. While there were no rules outlined in the contract I signed, I discovered later that there were a list of 'rules' pinned up on a wall that I would not have even seen if I had not used the toilet - this was after I joined the gym. The notice stated that if I didn't comply with these 'rules', my membership would be terminated with no refund. Could you please tell if this can actually be enforced? It wasn't in the contract I signed so i had no idea of such rules. What could I do legally if the gym terminates my membership with no refund if I don't comply with those so-called 'rules'. It really annoys me how places don't state these things in their contract just so that they get clients, and then they spring it on you when you've already signed up.